We are extremely proud to be announced today as Starling Bank’s first financial services Marketplace integration. So now all our customers can see their real-time PensionBee pension balance right next to their real-time Starling current account balance. Yes, you heard right, that’s your today money, right next to your tomorrow money. Finally. For the first time ever in the UK. And it’s happening today. People sometimes forget those two things are connected, since you can’t ever see them in the same place, at the same time. But as the financial decisions you make on a daily basis today, directly impact and create the financial future you have tomorrow, we think it’s high time they met face to face and said hello. 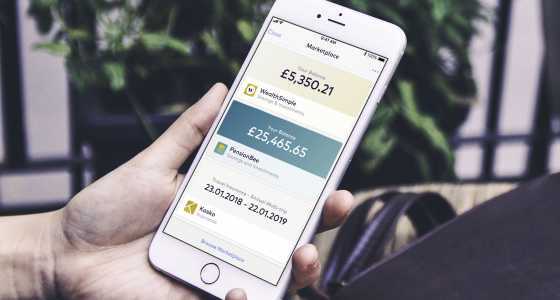 Starling Bank and PensionBee share a common vision. That everyone should be in complete control of their money. That means instant, real time access to information about transactions, balances, and investment growth on your smartphone, 24/7. Sadly, we both operate in industries that think it’s ok to share these updates days, if not months, after a transaction has occurred. We’ve all been there with our current accounts: a healthy looking balance can suddenly disappear because your bank hasn’t yet accounted for your last three days of spending, and that can leave you in financial trouble. In pensions, those three days can be a year, or even a lifetime. If you are lucky you’ll get a paper statement of your balance, growth and fees in the post once a year (let’s ignore the fact no one understands them). But more often than not, the paperwork stopped following you when you moved house ten years ago. And if you have five or six of these pots, it’s impossible to feel in control or have any real understanding of what your income will be in retirement, which can also leave you in much more serious financial trouble later on. Starling Bank and PensionBee both thought that was entirely unacceptable. And have built products to change it. Our shared vision is that healthier financial lives - and happiness - start with 24/7 access to the real-time information and insight we need to make financial decisions, when we want and how we want. This is the financial empowerment that we all need, to help us drive towards making better financial decisions, day after day after day, which helps lead us to the future we want. Head over to the Starling Bank Marketplace and start getting smarter with your money! Sign up to PensionBee and we’ll combine your old pensions into a new plan, that you can manage on your smartphone.